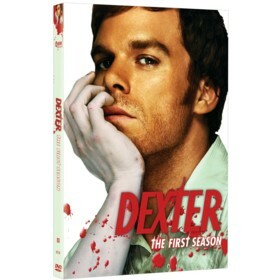 Dexter is a television show in the Suspense genre starring Michael C. Hall, Julie Benz, and Jennifer Carpenter. The tv show first appeared on air on 2006-10-01. Our users found the overall impression of this television show to be Exciting. The tv show's official site can be found at sho.com/site/dexter/home.do. I started watching Dexter this year after hearing how great the show was from my friends. I did not have high expectations for the series based on what I had heard from a few friends but others told me to watch it so I did. Michael C Hall is a fantastic actor and really is convincing as the nice guy/serial killer. His acting really draws you in and you will start to care for him and hope that he will eventually stop killing and just report those criminals to the police. The relationships Dexter has with his family and the code his father taught him "The code of Harry" which are rules he follows to ensure the police can never identify him really add to the show as well.